This month, the famed Silicon Valley startup accelerator Y Combinator put out a call for companies working to “help people live healthier for longer.” If you’re a scientist or entrepreneur who wants to increase human longevity and “healthspan,” Y Combinator will give you up to $1 million to do it. Silicon Valley investment is increasingly turning to human biology. It makes sense: There’s certainly a lot of money to be made. One of Y Combinator’s early bio investments, Ginkgo Bioworks, has already gone on to raise hundreds of millions more to fund its custom microbe-design business. Health has become a focus of tech industry luminaries, from Mark Zuckerberg to Elon Musk, who view the body as the next big thing to hack. If the body is merely a machine, then surely millions of research dollars will one day succeed in making mortal concerns like death optional. In recent years, Silicon Valley-backed anti-aging schemes have ranged from the plausible (growing new organs from your own DNA) to the straight-out-of-science fiction (infusing older bodies with young blood and stem cells.) Of course, Y Combinator’s first bio fund is focused on aging, but “this isn’t about living forever,” Altman said. This will be welcome capital in a field that actually doesn’t get much funding. Many of mankind’s worst ailments are linked with aging. In research labs, there is increasingly a focus in studying how the body ages and why, in order to better understand some of the diseases caused by it. For example, metformin, a popular diabetes drug, is at present being tested to see if it also extends human life. One working theory is that it works to treat diabetes because it’s really just treating the symptoms of aging. Understanding more of the basic underpinnings of aging could reveal new routes to treatment for a host of diseases. Y Combinator isn’t the only Silicon Valley venture capital firm to recently double down on the life sciences. Last month, Andreessen Horowitz announced its second bio fund, a $450 million investment fund focused on the intersection of biology and engineering. Y Combinator started taking on biology companies in 2014, but this is its first dedicated call for bio companies. Altman said advances in science are what spurred the investment now. Creating a blockbuster treatment isn’t the same as building a game-changing software. Innovation in biology takes time, a lot of failure, and the careful navigation of slow-moving regulations. Not exactly the “move fast and break things” pace that often attracts venture capital. YC Bio companies will be on a special track, like YC AI, getting more investment than usual (between $500,000 and $1 million) for a larger ownership stake (10-20 percent). 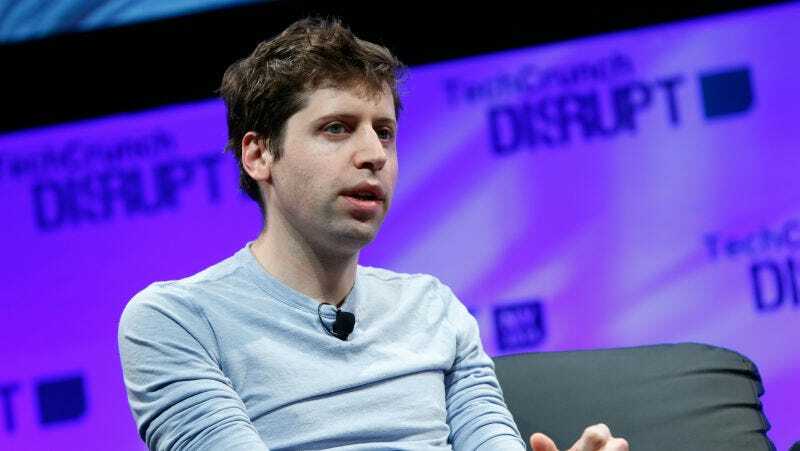 Y Combinator is interested in companies with radical ideas for how to treat aging as well as those with new takes on treatments for diseases like Alzheimer’s.